LAUDA-Noah is engaged in the manufacturing, development, distribution, service and support of chillers and heat exchangers for the semiconductor industry, with an installed base of over 10,000 systems worldwide. 20 years ago, prior to joining LAUDA DR. R. WOBSER GMBH & CO. KG, Noah Precision pioneered the first integration of thermoelectric devices into temperature control systems for semiconductor wafer processing applications. Today, LAUDA-Noah has the largest installed base of temperature control systems for semiconductor applications, incorporating thermoelectric devices. More than ever, shrinking device geometries, demanding new processes and a highly competitive environment require temperature control systems that combine fast and accurate temperature control with an emphasis on reduced operating costs and improved reliability. LAUDA-Noah is meeting these new challenges and has incorporated energy saving technology in systems that are friendly to the environment and have a low cost to operate. 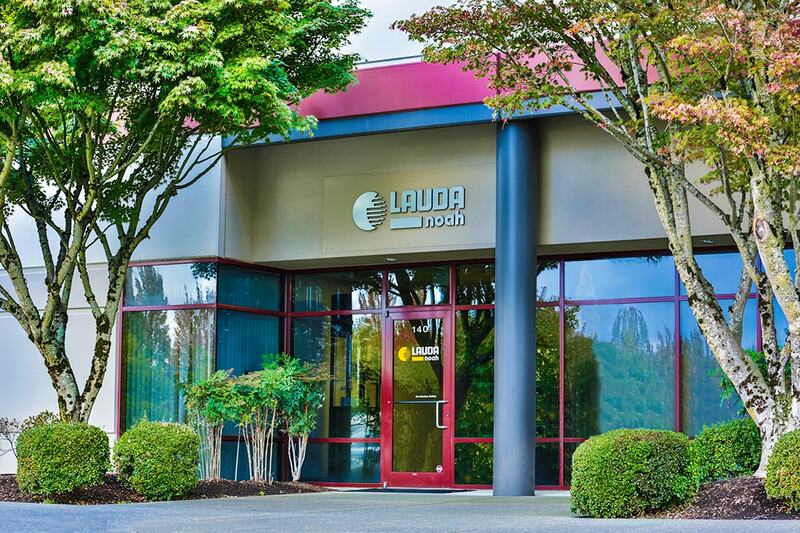 LAUDA-Noah has factory trained sales & support personnel in each of the major device manufacturing regions including North America, Europe and Asia Pacific. Originally founded in 1985, our company has grown into a recognized leader in providing temperature control systems to the global semiconductor industry. We are guided in our belief that prosperity in this competitive industry stems from providing customers with highly engineered new products and world class customer service. We know that great products are often the result of great customer feedback and the application of innovative technology. We strive to create value for our customers through a process that lets the customer influence our goals, objectives, product developments and business practices. We embrace personal accountability and accept responsibility for prudent risk taking. We encourage personal values, which guide us to consistently meet the commitments we make and we endeavor to treat those with whom we interact with respect as we wish to be treated ourselves.